United States Secretary of State Hillary Clinton called on Monday for tighter regulation of Antarctic tourism as delegates from 47 countries began a review conference of the now 50-year-old Antarctic Treaty. 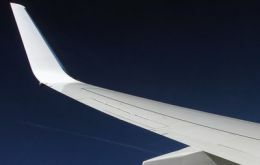 Chilean-based LAN Airlines recently announced it will reduce the consumption of combustible fuel by 16.6 million gallons each year with the installation of “winglets” on all 37 of its Boeing 767-300 aircrafts as part of the airline’s endeavor to improve flight efficiency. 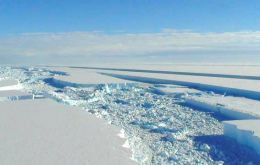 An ice bridge which held a vast Antarctic ice shelf in place shattered at the weekend and could herald a wider collapse linked to global warming, a leading scientist has warned. It's amazing how the ice has ruptured. 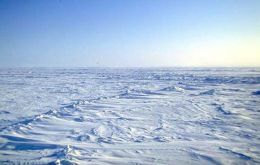 Two days ago it was intact, said David Vaughan, a glaciologist with the British Antarctic Survey. Antarctica's ice shelves are melting more rapidly than previously known because of climate change, according to a new US Geological Survey report prepared in close collaboration with the British Antarctic Survey, the Scott Polar Research Institute and Germany's Bundesamt f&#369;r Kartographie und Geodäsie. Region V health authorities have prohibited the harvest, consumption and sale of all shellfish found between Queilén and Quellon in the Aysén region. The decision was made after water samples showed a concentration of “red tide,” the deadly micro algae Alexandrium catenella, which was ten times the level tolerated by the human system. Hundreds of dead Magellanic penguins (Spheniscus Magellanicus) have washed ashore in Chile’s Region XI the past several days, the Santiago daily La Tercera reported Sunday. 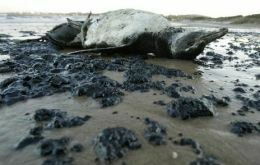 So far experts are in the dark about what’s killing the sea birds, more than 800 of which have been found on the beaches of Las Niñas and Los Piojos near Queule. An Argentine federal judge authorized last week the rescue of 9.5 tons of gold and silver which were lost when a Chilean vessel “Polar Mist” sank in Argentine waters in mysterious conditions after having been abandoned by its crew. 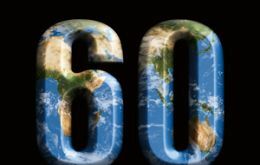 60 Earth Hour: Thanks for the switch off! UN Secretary-General Ban Ki-moon today urged citizens around the world to join WWF's Earth Hour to demand action on climate change. 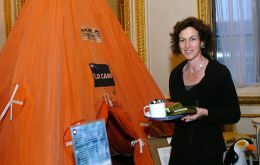 Britain reaffirmed its commitment to preserve Antarctica for peaceful, scientific purposes and anticipated it would be presenting a “Strategic Vision for Antarctic Tourism” to help with conservation of its unique beauty.